Of course, if Jeremy Clarkson hadn't punched a producer then him, James May and Richard Hammond would have never needed to look for a new place to host a motoring show. But Amazon will no doubt be pleased that it has confounded the pundits and snatched the trio from Netflix. That's not to say Netflix was ever formally interested, but it seems logical to assume that Andy Wilman (the show's editor) and Jeremy Clarkson along with May and Hammond will have wanted to do a deal that will give them complete creative control. I suspect that as well as money, Amazon appeals because there will be no one micromanaging them. From a technology point of view, this is all terribly significant too, because you've got a luddite like Clarkson delivering his pride and joy not over the airwaves, but via broadband. None of the presenters, nor Wilman are huge technology fans, but they must see that Amazon has the potential to directly deliver their show to a potentially huge audience. There are also some other real advantages of going to Amazon. It doesn't have to keep the motor industry happy, so there won't be any notes from Amazon execs asking Jermey to be less cruel about Ford, or more positive about Skoda. It's easy for us to forget in the UK just how good we have it with the BBC, but complete impartiality from advertisers is a tough problem. While editorial should always be separate from the "money" there is always the risk that you'll annoy a major advertiser and end up losing adverts as a result. Can this really push Amazon on? As Amazon doesn't have adverts it will be able to give the trio freedom to express themselves as they wish. Although that won't extend to the hosts getting embroiled in some of the antics that blighted the BBC show in recent years. No doubt lessons have been learnt from this though, and I suspect that the new production team will be carefully chosen too. Amazon must be hoping that this will help drive visitors to its Prime Video service too. Unlike Netflix, Amazon isn't quite as obvious about its financial motivations, it's a company that wilfully doesn't make huge profits, instead investing gains back into R&D. Top Gear gives them something cool to show off on their homepage though, and it may well offer them an enormous amount of merchandising revenue as the show takes off - assuming, of course, that it does. It's hard to think of anything featuring May, Hammond and Clarkson not doing well, but let's also not forget that Top Gear was somewhat in need of a spring clean before the fracas. It's impossible to know what form the new show will take, will there be an audience, special guests, some sort of tame racing driver? As someone who has seen Top Gear pilot episodes that never aired on TV, and heard stories about the original ideas it's something that will require quite a bit of tweaking. It's also not clear how much Clarkson and team will be able to push it before the BBC lawyers up and puts the frighteners on the whole thing. All that remains now is for them to come up with a name and a theme tune. These are tasks that sound simple, but will no doubt be giving people all sorts of headaches. 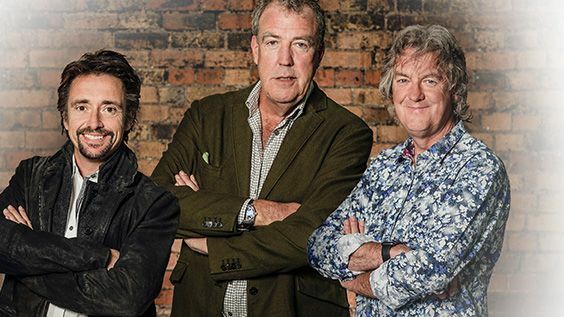 For now, in the tradition of US in-development TV shows, let's just call it "The Untitled Clarkson, May and Hammond Project".